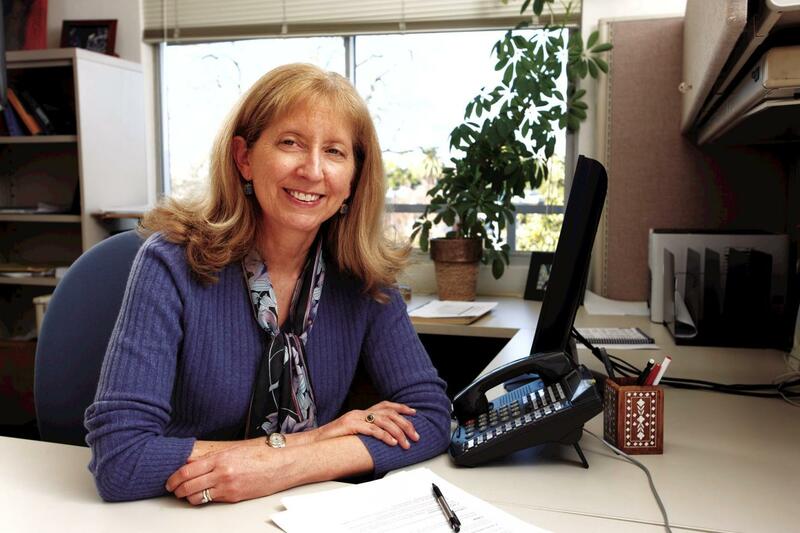 IMAGE: This is Joy Melnikow, professor and director of the Center for Healthcare Policy and Research at UC Davis. A systematic review of the scientific literature on dense breasts by researchers at UC Davis and other institutions has found that determinations of breast density can be unreliable and that as many as 19 percent of women are re-categorized as dense rather than non-dense or vice versa from one mammogram to the next. The study also found that supplemental diagnostic screenings for women with dense breasts find additional breast cancers but also greatly increase false positive results. The review of 24 studies among 2,067 citations examined the evidence on the consistency of breast density category assignment and on supplemental screening beyond standard mammography for women with dense breasts. The review, supported by the Agency for Healthcare Research and Quality, was published today in the Annals of Internal Medicine. "The number of states mandating that breast density information be reported to patients is increasing," said Joy Melnikow, who directs the Center for Healthcare Policy and Research at UC Davis and was first author on the paper. "But the assignment of breast density is not terribly consistent. The policy may be out in front of the science." Breast density has been categorized through the Breast Imaging Reporting and Data System (BI-RADS). Breasts are defined as: a) mostly fatty, b) scattered density, c) consistent density and d) extremely dense. Higher breast density modestly increases a woman's risk of developing breast cancer and decreases the sensitivity and specificity of screening mammograms. Women classified with dense breasts (categories c and d) may be offered supplemental screening with ultrasound or magnetic resonance imaging (MRI). However, the study shows this approach may not be supported by strong scientific evidence. The first problem is the inability to accurately assess whether a woman has dense breasts to begin with. One study showed that different radiologists assigned the same BI-RADS category to an individual woman only 82 percent of the time. Other data showed that as many as 22 percent of women were reclassified from dense to non-dense (on vice versa) on consecutive mammograms. "It is important to be clear who actually has dense breasts," said Melnikow. "Also, when patients are told their breasts are either dense or not dense, they need to have confidence in that assessment." Additional diagnostic tests for women thought to have dense breasts will find some additional breast cancers; however, there were no studies that examined women's long-term health outcomes after supplemental screening beyond diagnosis. "It's clear from our review of ultrasound and MRI that if you go beyond mammography to try to find breast cancers you can find them," said Melnikow. "But whether there's a benefit to women's health from looking is not established. At this point, there are no studies on clinical outcomes." Melnikow believes the best solution for these problems is to conduct long-term, rigorous research to better standardize breast density classification and determine whether supplemental screenings provide actual health benefits for women. The U.S. Preventive Services Task Force, in their recommendation statement published in the same issue of Annals of Internal Medicine, found insufficient evidence to assess the balance of benefits and harms for supplemental screening of women with dense breasts with ultrasound, MRI or other modalities. "It's important that policies come from the evidence," said Melnikow. "It's also important that women not overreact to information about their breast density." Other authors included: Joshua J. Fenton, Diana L. Miglioretti and Meghan S. Weyrich at UC Davis; Evelyn P. Whitlock and Jamie H. Thompson at Kaiser Permanente Northwest; and Kunal Shah at Columbia University. This research was funded by the Agency for Healthcare Research and Quality (HHSA-290-2012-00015I).